For generations, the fascinating powers of Belly Dance charmed travelers, pilgrims, kings. In the early days, this dance was performed by women in the Middle East and North Africa, with mystical and ritualistic character. About these days we can only guess, because the material on the subject is scarce. Unlike other dances such as Flamenco, Tango, Forro, Charleston or Ballet, this ancient dance does not have an official name. Originally, the dance was known as Raqs el Sharqi (Dance of the East or Eastern Dance in Arabic), or only as Oriental Dance. The term we know, Belly Dancing, originated from the French Danse du Ventre, probably acquired by the impact that the sinuous hip movements had in the conservative Victorian society. Despite this, Raqs el Sharqi is more than just hip movements, it involves gentle movements of the arm, interpretation, sensuality, lightness, grace and self-esteem. Born in the cradle of civilization, probably dating back to Mesopotamia and perhaps before, this Art is currently popular worldwide. 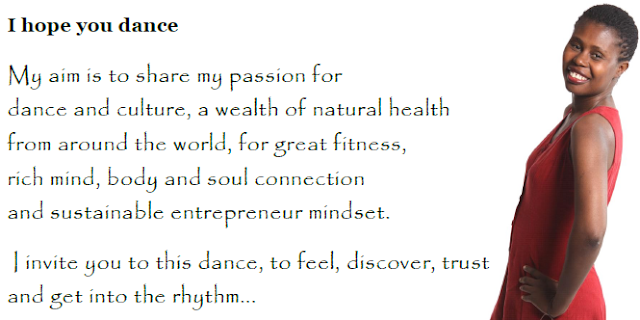 As it has been spreading and developing over time and regions, it incorporated elements from every corner of the world, making the Middle Eastern Dance earn a unique charm in each place. We can observe unique styles of dance, added from the social, psychological, emotional and cultural needs of the countries in which it is practiced. Even the traditional belly dance costumes that we know are a scenic incorporation, that is, it was idealized to fit the stage of cabarets of the countries of East and West when the fever of Orientalism exploded. Around this time, the former ritualistic, bare feet and popular dance, received strong influences of classical ballet, with the departure of several native dancers in the region to other parts of the world. Hence, the dance has absorbed the armed and elegant arms, the arabesques, turns, posture, and many other things that are essential to form what we now know as Belly Dance. 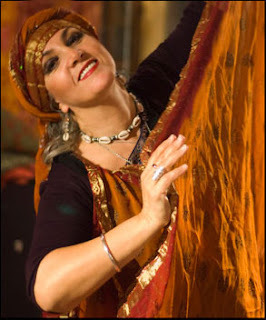 These are not considered "Bellydance", but a dancer who knows them has an increased knowledge of the Arabic cultures and a richer variety of performances. Despite some disagreement about the origins of this art, all seem to agree on one point: the dance that is practiced today, probably is the last vestige of the rites of the priestesses in the Middle East. Please take a moment to tell me about your observations or any particular comment you may have.